7.56am haul myself out of bed, late again. Tomorrow I will put my phone on the other side of the room so I can’t hit snooze. 8.20am wrangle with some hair related angst. When exactly are you too old to do your hair in two plaits? It is a worry. There again, I have the stylistic tendencies of a 9 year old girl in most other respects – I probably shouldn’t fight it. 8.30am read a tweet on my way out of the door claiming that Sarah Waters redrafts things up to 34 times before sending to an agent or publisher. Nobody should live at that speed. Seriously, I’ll be dead by the time I’ve done that many redrafts. 6pm get home. Open post, drink some water, consider going for a jog. 6.40pm head out for a jog. Just call me Haruki Murakami. 8pm congratulate self on not dying. 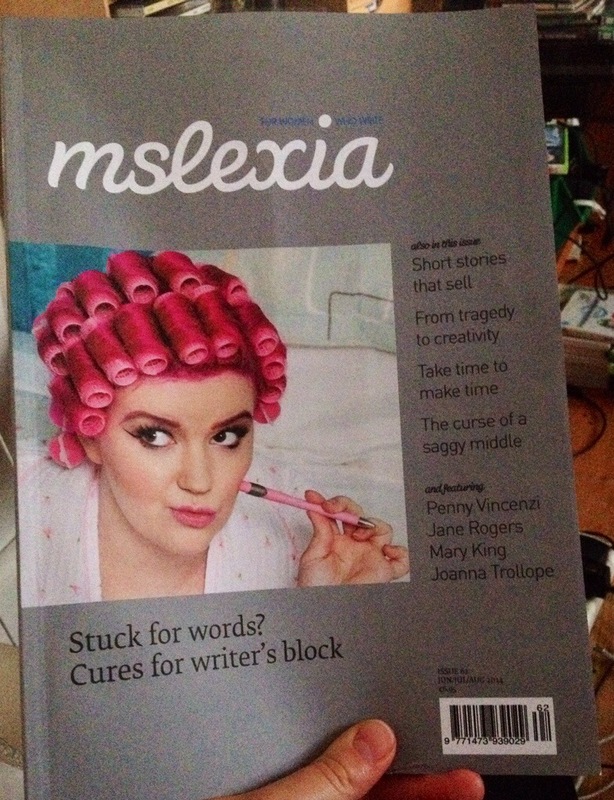 Open up my shiny new copy of Mslexia for some ‘sit down and write’ inspiration. 8.15pm my brother comes round for a visit (and to collect a phone charger. Multitasking). We catch up over some minstrels. 9.25pm brother heads home. I sit and finish drafting an application for a mentoring project. This involves 20 minutes of editing fiction! Result! Eagle-eyed readers might have noticed that it’s January now, so I suppose I’ll have a go at answering that question from the perspective of four days hindsight. I still feel a little bit fraudulent. Yesterday was the busiest I’ve ever had on the 12 books blog, which is lovely, so I hope people liked it enough to come back. If you are visiting for the first time and would like to know what on earth is going on, you can read a quick overview on IdeasTap or a slightly longer evaluation of the journey so far on Mslexia. Meanwhile here is a reading from book seven, which you may remember is aimed at kids and is about a grumpy wizard called Snooky Jim, a slightly batty cat lady called Amelia Trousers, and a young lad called Chris who is well brung up and usually eats his greens. I wrote this yesterday and have just done one take, so it’s literally just me reading off a bit of paper. But it’s pretty short, so that’s a bonus… And anyway if you don’t like it you can’t be mean cause it’s my birthday, so there.